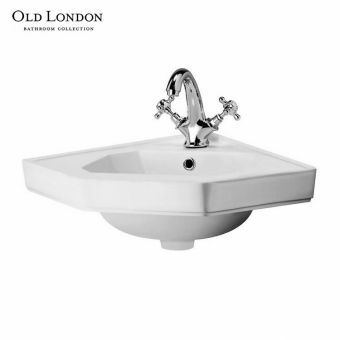 Free DeliveryImperial Oxford Corner Basin From £288.00 inc.VATRRP: £360.00 (Save 20%)Corner design, 2 tap hole basin with plain or decorated base options. 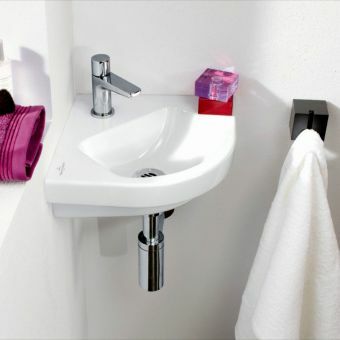 Corner basins are not only an important addition to the bathroom; they also help maximise space. 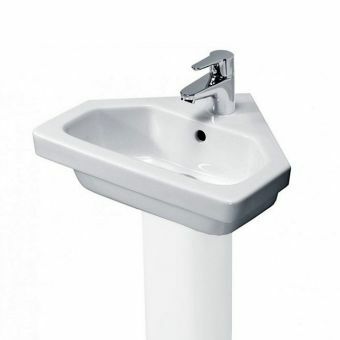 UK Bathrooms have an extensive range of corner basins from some of the leading brands in the industry. 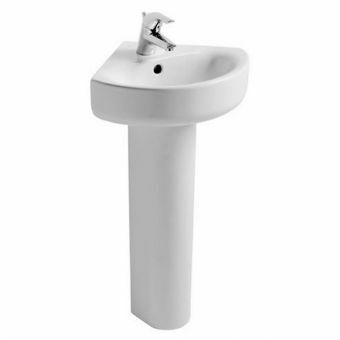 All are available from us at discounted prices and some products include free delivery. 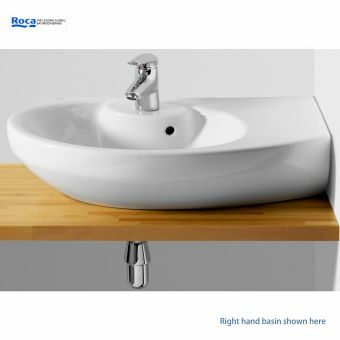 Among those we have on offer is the RAK Compact Deluxe Corner Basin. 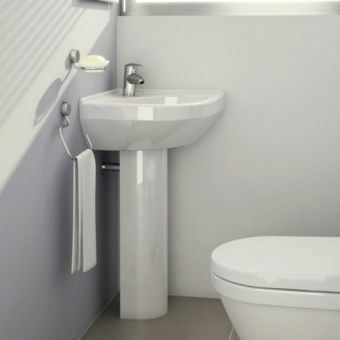 It is an excellent choice for smaller or en suite bathrooms and is produced by RAK Ceramics, which has a reputation for sanitary products of the highest quality. 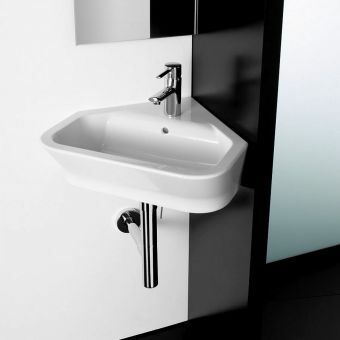 Where space is exceptionally tight, the V&B Omnia Classic 415mm Compact Corner Basin offers the perfect solution. 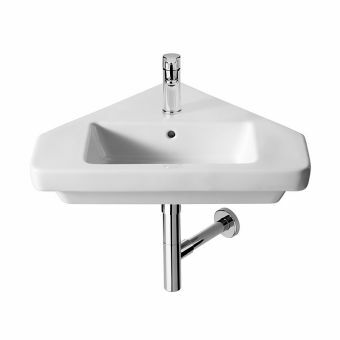 This particular corner basin can be upgraded using V&B’s Ceramic Plus treatment to ensure it remains gleaming white for much longer. 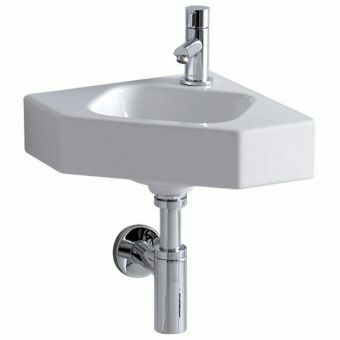 Another solution where space is limited is the Ideal Space Corner 56cm Basin. 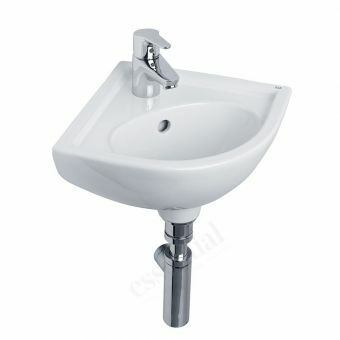 This corner basin is pedestal mounted, but the pedestal and accompanying brassware need to be ordered separately. 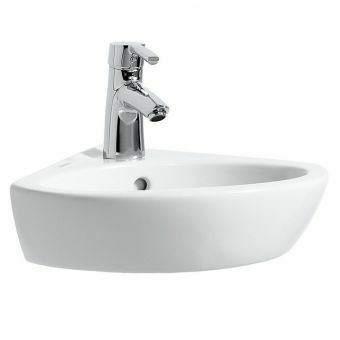 For a product that is unique, the Vitra Sunrise 600mm Offset Corner Basin is the one of choice. 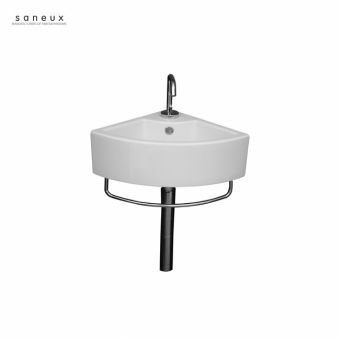 The choice of left or right-hand bowl means you can choose the corner basin that best suits your bathroom. 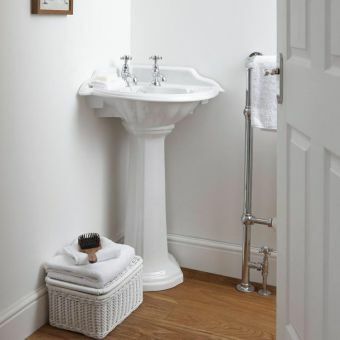 Armitage Shanks produce a superb range of basins, including the Sandringham Corner Basin 37cm. 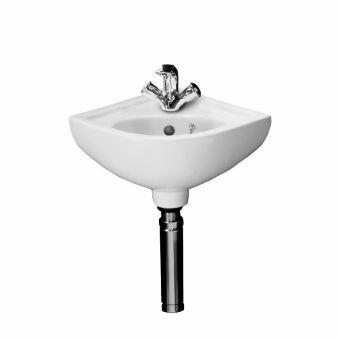 This product allows for an efficient use of space at an economical price and is ideal for the householder. 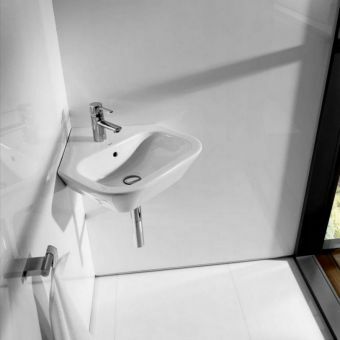 The Roca Dama-N Corner Bathroom Basin provides a solution where space is at a premium. It fits in well with other products from this range.